N-acetyl cysteine is a specially modified form of the essential amino acid cysteine. 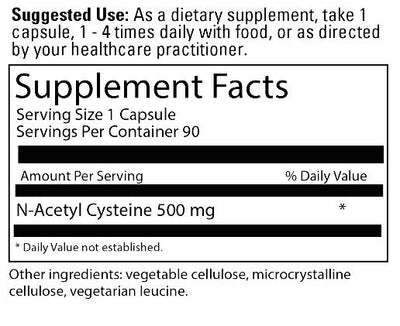 How does N-acetyl cysteine support health? Helps the body make glutathione, one of the most important antioxidant enzymes. May help the body maintain healthy homocysteine levels, which is important for heart health. Has been shown to support lung and bronchial health. May support healthy immune system function.